Este artículo trata sobre el filólogo, abogado y (proto-)indólogo Sir WilliamJones (1746-1794) y, en particular, sobre su introductorio ensayo en India On the Gods of Greece, Italy, and India redactado en 1784. 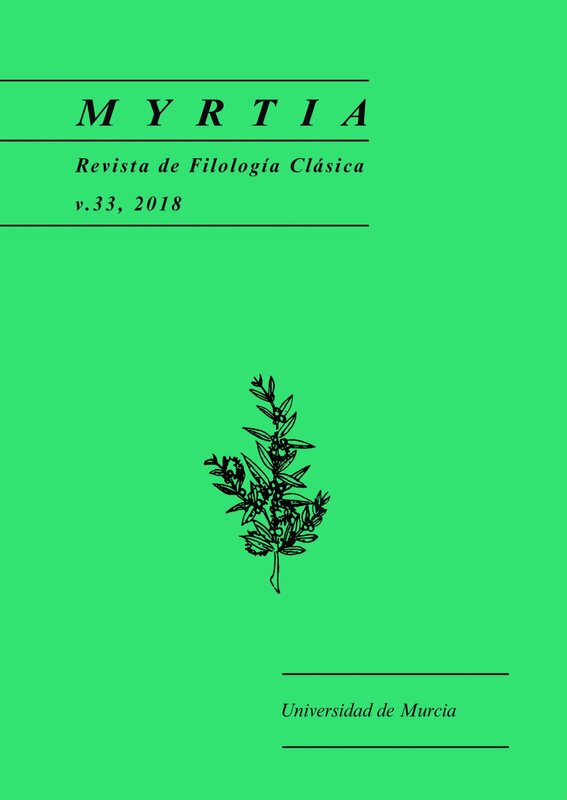 No sólo se centra en cómo elaboró su comparación de la mitología greco-romana y la hindú, sino también tiene en cuenta la tradición académica de reinterpretar la mitología en un contexto bíblico. Aunque esta tradición venía haciéndose desde hace siglos, la inclusión de la mitología hindú dio un empuje a los estudios comparativos europeos. Para comprender sus métodos y heurística, este artículo investiga tres ejemplos del ensayo (Saturn-Manu-Noah, Minos-Manu y Dionysus-Rāma- Raamah), y cómo Jones los redactó, utilizando el tesauro mitológico el Pantheum del jesuita François Pomey. U. APP, 2009, “William Jones’s Ancient Theology”, Sino-Platonic Papers 191. R. ARNOLD, 2001, William Jones: ein Orientalist zwischen Kolonialismus und Aufklärung, Würzburg. S. ARVIDSSON, 2006, Aryan Idols; Indo-European Mythology as Ideology and Science, Sonia Wichmann (translation), Chicago - London. T. BALLANTYNE, 2002, Orientalism and Race: Aryanism in the British Empire, Hampshire. S. BOCHART, 1646, Geographia sacra: Chanaan seu de coloniis et sermone Phoenicum, Cadomi. S. BOCHART, 1651, Geographiae sacrae pars prior Phaleg, Cadomi. Vasca “Julio de Urquijo” 40, pp. 245-264. G. CANNON, 1964, Oriental Jones; a Biography of Sir William Jones (1746- 1794), London. G. CANNON, 1984, “Sir William Jones, Persian, Sanskrit and the Asiatic Society”, Histoire épistémologie langage: genèse du comparatisme indo-européen 6.2, pp. 83-94. G. CANNON, 1990, The Life and Mind of Oriental Jones, Cambridge. G. CANNON, 1995, “Oriental Jones: Scholarship, Literature, Multiculturalism, and Humankind”, in Object of Enquiry; the Life, Contributions, and Influences of Sir William Jones (1746-1794), G. Cannon and K.R. Brine(eds. ), New York – London, pp. 25-50. G. CANNON, 1998, “Sir William Jones and the New Pluralism over Languages and Cultures”, The Yearbook of English Studies 28, Eighteenth-Century Lexis and Lexicography, pp. 128-143. A. DAVID, 1996, “Sir William Jones, Biblical Orientalism and Indian Scholarship”, Modern Asian Studies 30.1, pp. 173-184. J. FELLMAN, 1975, “The First Comparative Indo-Europeanist”, Linguistics 145, pp. 83-85. M.J. FRANKLIN, 2011, ‘Orientalist Jones’: Sir William Jones, Poet, Lawyer, and Linguist, 1746-1794, Oxford. R. FYNES, 1998, “Sir William Jones and the Classical Tradition”, in Sir William Jones, 1746–1794 A Commemoration, Alexander Murray (ed. ), Cambridge, pp. 45-65. C. HAGERMAN, 2013, Britain’s Imperial Muse: The Classics, Imperialism, and the Indian Empire, 1784-1914, Hampshire - New York. T. VAN HAL, 2015, “Die Rolle des Altindischen bei der Gründung der Sprachwissenschaft als akademischer Disziplin; Revolution oder Kontinuation?”, in Metasprachliche Reflexion und Diskontinuität: Wendepunkte, Krisenzeiten, Umbrüche, Gerda Haßler (ed. ), Münster, pp. 154-166. P.-D. HUET, 1690, Demonstratio evangelica ad serenissimum Delphinum, Paris. D. IBBETSON, 1998, “Sir William Jones as a Comparative Lawyer”, in Sir William Jones 1746-1794: a Commemoration, Alexander Murray (ed. ), Oxford, pp. 19-42. SIR W. JONES, 1807, The Works of Sir William Jones (Teignmouth’s Memoirs of the Life, Writings and Correspondence of Sir Williams Jones) 13 vols., London. SIR W. JONES, 1970, Letters, Garland Cannon (ed. ), Oxford. R.P. LESSENICH, 2015. “Sir William Jones and the Romantic Poetics”, Archiv für das Studium der neueren Sprachen und Literaturen 167, pp. 314-324. B. LINCOLN, 2002, “Isaac Newton and Oriental Jones on Myth, Ancient History, and the Relative Prestige of Peoples”, History of Religions 42, pp. 1-18. B. LINCOLN, 1999, Theorizing Myth: Narrative Ideology, and Scholarship, Chicago - London. P.J. MARSHALL, 1970. The British Discovery of Hinduism in the Eighteenth Century, Cambridge. MD.A.T. MOJUMDER, 1978, Sir William Jones: A Poetical Study, Dacca. H. MOMMA, 2013, From Philology to English Studies: Language and Culture in the Nineteenth Century, Cambridge. S.N. MUKHERJEE, 1987, Sir William Jones: A Study in Eighteenth-century British Attitudes to India, Cambridge. A. MURRAY, 1998, Sir William Jones, 1746–1794 A Commemoration, Cambridge. L. POLIAKOV,  1993, Der arische Mythos; zu den Quellen von Rassismus und Nationalismus, Margarete Venjakob (translation), Hamburg. P.F. POMEY,  1757, Pantheum mythicum seu fabulosa deorum historia, hoc epitomes eruditionis volumine breviter dilucidèque comprehensa, Amsterdam. K. RAJ, 2007. Relocating Modern Science; Circulation and the Construction of Knowledge in South Asia and Europe, 1650-1900, Hampshire - New York. P.J.A.N. RIETBERGEN, 2007, Europa’s India: fascinatie en cultureel imperialisme, circa 1750-circa 2000, Nijmegen. R. ROCHER, 1989, “The Career of Rādhākānta Tarkavāgīśa, and Eighteenth-Century Pandit in British Employ”, Journal of the American Oriental Society 109.4, pp. 627-633. P. RUTISHAUSER, 2008, Das Pantheum Mythicum des Pere Pomey und ausgewählte Bearbeitungen als Vorläufer von K. Ph. Moritz’ Götterlehre, Munich. P.-J. SALAZAR, 1991, “Les pouvoirs de la fable: mythologie, littérature et tradition (1650-1725)”, Revue d’histoire littéraire de la France 91.6, pp. 878–889. R. SCHWAB, 1950, Le Renaissance orientale, Paris. N.S. SHUKLA, 1974, “Persian Translations of Sanskrit Works”, Indological Studies 3.1-2, pp. 175-191. J.P. SINGH, 1982, Sir William Jones, His Mind and Art, New Delhi. V. DE SOLA PINTO, 1946, “Sir William Jones and English Literature”, Bulletin of the School of Oriental and African Studies 11.4, pp. 686-694. O. SZEMERÉNYI, 1980, “About Unrewriting the History of Linguistics”, in Wege zur Universalienforschung. Sprachwissenschaftlichte Beiträge zum 60. Geburtstag von Hansjakob Seiler, Gunter Brettschneider and Christian Lehmann (eds. ), Tübingen, pp. 151–162. A. TOOKE,  1803 (31st reprint), The Pantheon representing the Fabulous Histories of the Heathen Gods and Most Illustrious Heroes; in a Plan and Familiar Method, by Way of Dialogue, London. TH.R. TRAUTMANN, 1997, Aryans and British India, Berkeley. TH.R. TRAUTMANN, 1998, “The Lives of Sir William Jones”, in Sir William Jones, 1746–1794 A Commemoration, Alexander Murray (ed. ), Cambridge, pp. 6-121. A. TRUSCHKE, 2015, “Regional Perceptions; Writing to the Mughal Court in Sanskrit”, Puruṣārtha 33, pp. 251-274. P. VASUNIA, 2013, The Classics and Colonial India, Oxford. P. VASUNIA, “Sir William Jones and the Gods of Greece, Italy and India”, Backdoor Broadcasting Network; Academic Podcasts, http://backdoorbroadcasting.net/archive/audio/2015_02_12_RAS/2015_02_12_Phiroze_Vasunia_talk.mp3, 12-02-2015, accessed 12-07-2016. G.J. VOSSIUS, 1641, De theologia gentili et physiologia christiana, Amsterdam. D. WEIR, 2003, Brahma in the West; William Blake and the Oriental Renaissance, New York.